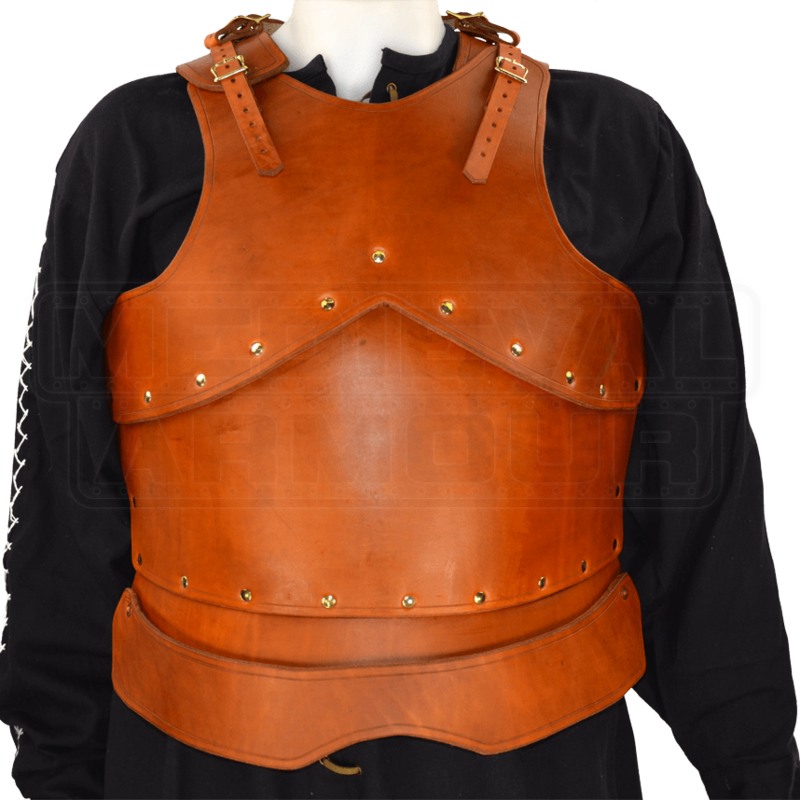 Our Formed Leather Cuirass armor is hand-crafted from top-quality leather, and not only is it hand-crafted but it is also made from thick, defensible 13/15 oz. leather. This ensures that not only does this armor look very cool, but it will also reliably stand up to most impacts without fail. Our Formed Leather Cuirass includes a molded breastplate and a molded backplate each with an articulated fauld. This leather armour is hand crafted from armor grade 13/15 oz. leather, so it is perfect to use for most re-enactments including those done in the SCA and for LARP. With the leather being water hardened, the finished product is a much harder surface than a piece of armour that has not been molded and this results in much better protection. There are straps at the waist and at the shoulders to secure the armour. There is also a d-ring at the top of each shoulder and this is for attaching pauldrons to it. This is a nice feature because it means you do not have to wear a gorget if you do not want to. And even better, our Formed Leather Cuirass works wonderfully well with any number of our other hand-crafted pieces of leather armor. It is currently made in a Standard Size.